Franz Jakob, the owner and barber of Authentischen Barbier in Quebec, Canada has been cutting hair for over 30 years. He started cutting hair when his mom asked him to give his younger brother a trim. During high school, Jakob did cuts for his classmates at a DJ booth that he ran. Jakob successfully runs his barber shop and brings in various types of customers, including customers with special needs. He does free haircuts for clients who have special needs or are ill. 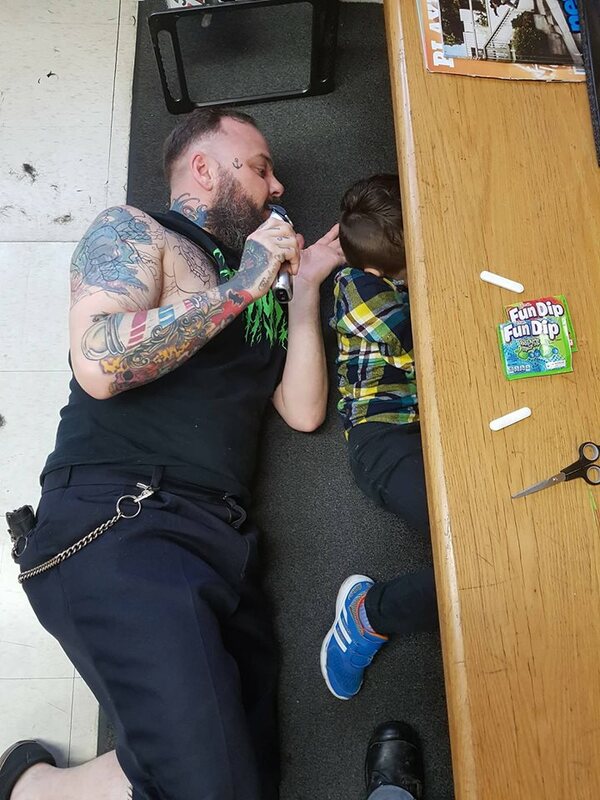 He often makes these haircuts the last of the day so that he can “take all the time needed.” A few weeks ago, Jakob did another amazing act of kindness to a child with autism, which was caught on camera. Wyatt, a 6-year-old boy on the autism spectrum, has had many troubles going to get haircuts because of his sensitivity to noises and being touched. So, when Fauve Lafreniere, Wyatt’s mother, heard about Jakob and his vintage barber shop, she gave it a try. When I asked Jakob about what made him do this act of kindness, he explained that absolutely nothing made him. When Jakob saw all of this media attention, he couldn’t believe it. “For Wyatt and I, chilling on the floor while I’m cutting is normal. I was at the shop and I received a message asking me to go see on Reddit and I found out there was half a million viewers,” he said. When I asked Jakob if he wanted to mention anything else, he told me something truly inspiring. This article was written by Ethan Hirschberg, a teenager with high functioning autism. Ethan is the founder/blogger of The Journey Through Autism, a blog where he shares his personal experiences, insight and advice to individuals on the spectrum, parents, caregivers, educators, and providers. Check out his blog by clicking here!